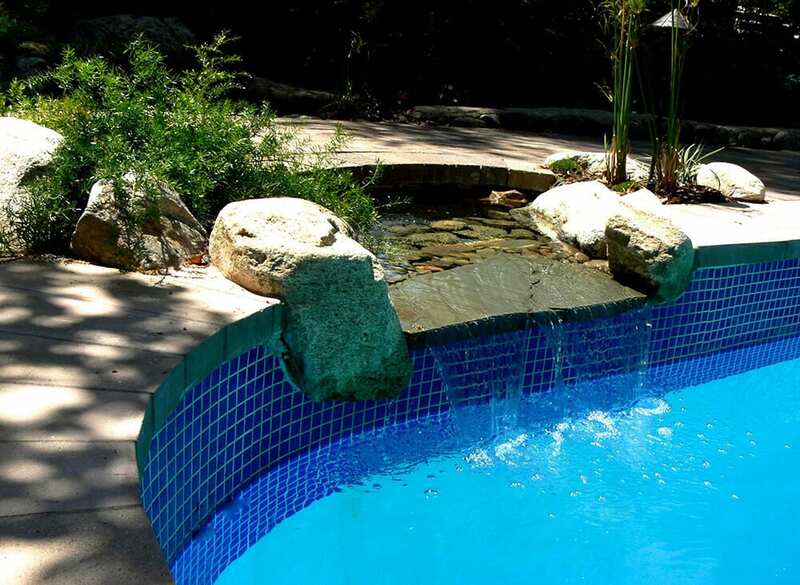 Pool Waterfall and Koi Pond Combined 2-in-1! 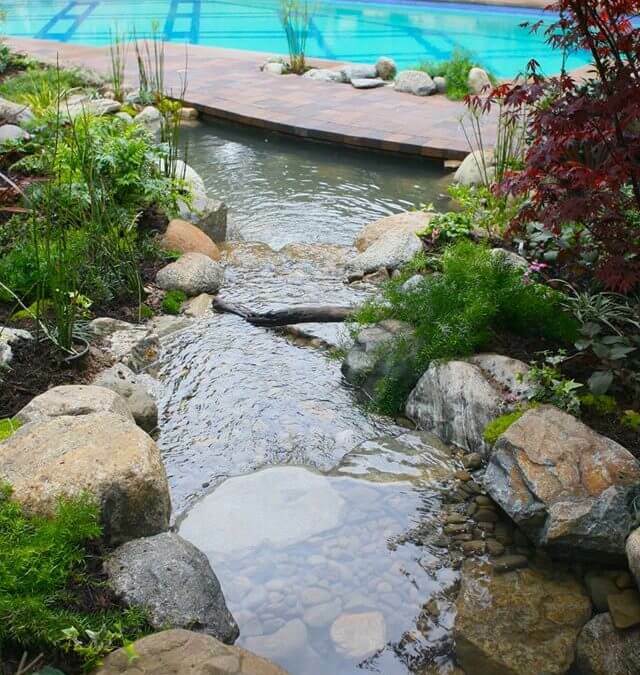 Gorgeous 2-in-1 Pool and Water Feature! 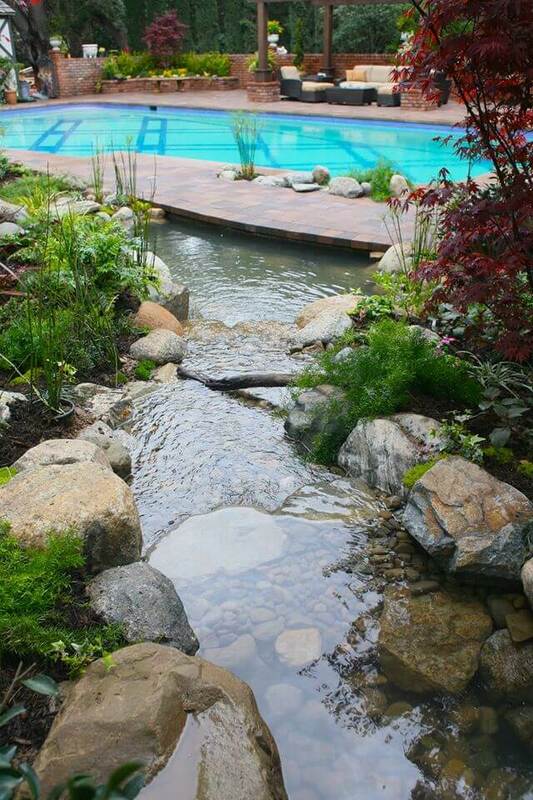 It might look like it goes into the pool, but the waterfall and stream on the pond side of the bridge is it’s own self contained unit. 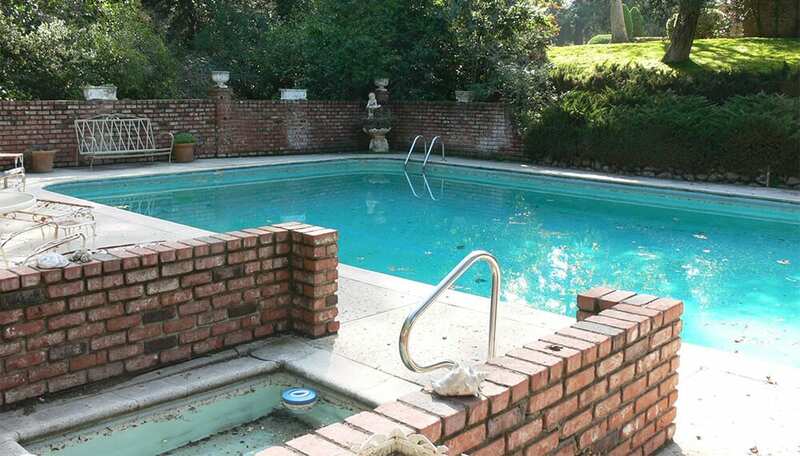 The waterfall on the pool side of the bridge is the chlorinated pool water tapped into the pool plumbing. 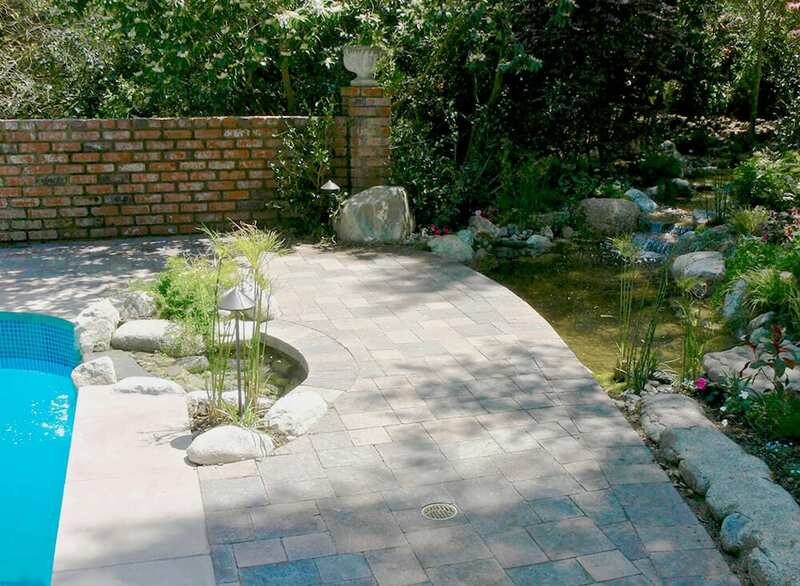 This homeowner can now enjoy a natural koi pond with thriving aquatic plants that give their newly remodeled pool a unique look.